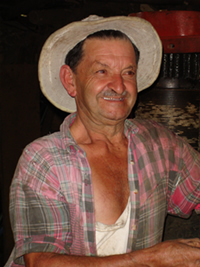 The Ticos, as Costa Rican are commonly known, are famous for their hospitality and are quite happy to live up to their reputation. They are well-educated and hard working people, who are quick with a handshake and a smile. They are well aware of the special land they have and most likely they will help foreigners when they get lost. "Pura Vida" literally means “Pure Life” in Spanish, but it also is a uniquely Costa Rican idiom for "Everything is Great!". It’s a way of life and a phrase we may find ourselves using often as we encounter new wonders around every bend in the road. The national philosophy dictates that you should never rush ahead because tomorrow is another day and problems will seldom go away. 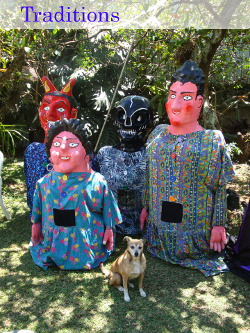 Costa Rican culture is in many ways a reflection of its racial diversity. The predominant influence has long been European, which is reflected in everything from the official language – Spanish – to the architecture of the country’s churches, the Roman Catholic faith and other historic buildings. The indigenous influence is less visible, but can be found in everything from the tortillas that make part of a typical Costa Rica meal, to the handmade ceramics sold at roadside stands. The native indigenous population of Costa Rica now number approximately 15,000 and make up 0.5% of the population, as opposed to 100% in 1502. Few of this indigenous people have retained their language nowadays, for example the Bribri, the Boruca and the Cabecar who live in the Cordillera de Talamanca. An important aspect of Costa Rica’s cultural legacy is their love for peace and democracy. The Ticos like to stand out that their nation is the exception in Latin America because Costa Rica has half a century without an army and one hundred years of democratic tradition. People say the Ticos are their nation’s greatest asset, and once you’ve experienced their friendliness and spontaneity you’ll have no doubt to that regard. To go beyond into the Costa Rican traditions, the Ticos and our way PURA VIDA life we suggest you visit Costa Rica during an official holiday. To help you out we have included a list of festivities ordered by month with a short description of each event. Click on the picture with the masks to see this list.